Looking for employment can be a harrowing experience! If you are set to relocate to a different country, the process takes on many new dimensions. Not only do you have to land a job, you also have to apply for a work visa, wrangle with paperwork, and move your life halfway across the world! 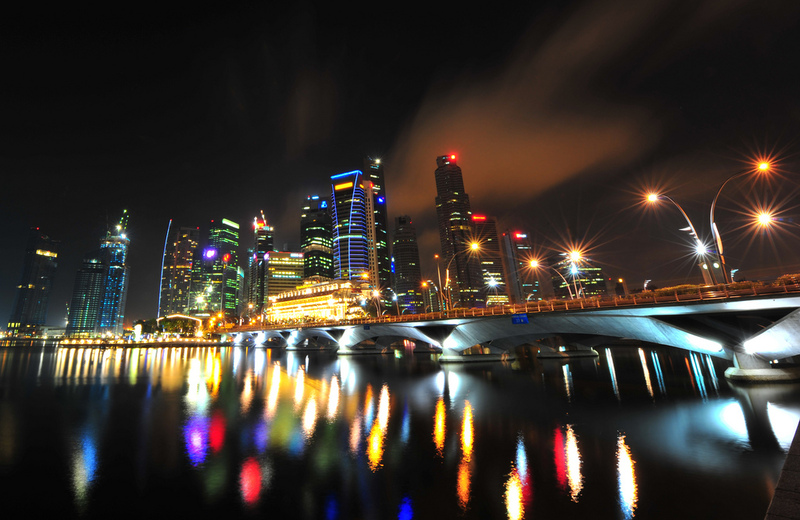 If you decide to take the plunge, Singapore is the ideal place. This island country is a multicultural metropolis where English is the first language. Singaporean employers are familiar with hiring foreign professionals, and the government welcomes expats with open arms. 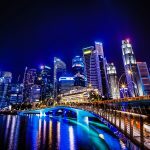 Before you hesitate any further, read on to find out how easy it can be to start working in Singapore! Before you send your CV it is highly recommended that you first have a professionally written CV as the job market in Singapore is highly competitive. We have teamed up with the leading CV Consultancy Company to get your CV professionally written. If you want to get your CV reviewed first. Claim your free CV Review Now. Before you can even start looking for a job, you will have to identify the requirements needed to work in Singapore. There are several different kinds of work passes and permits that you can qualify for – you can check your eligibility with this self-assessment tool here. However, do take note that this test is not an accurate reflection of your eligibility – factors such as quotas and your personal background are not taken into consideration in the self-assessment tool. It is generally required that you have the relevant qualifications and experience. You must land a job before applying for a work visa, and your expected salary must meet a minimum level. 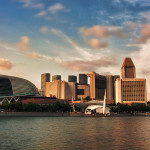 The first step to finding employment in Singapore, will be to analyse your potential job sector. The ease of getting a job depends on the career that you have chosen. There are some areas that are growing fast, while others have reached a stagnation point. 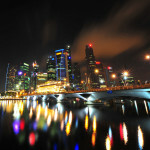 Tourism is flourishing in Singapore, especially with the recent opening of major tourist attractions and luxury resorts. 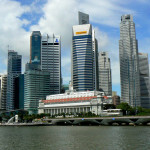 Computer science is also popular in Singapore – this country is home to a small but burgeoning game development scene. Your best chance for employment will be to apply to a profession that is on the Strategic and Skills-in-Demand List. This list details the occupations and skill-sets that will be in high demand by Singapore’s industries in the near future. Do your research to improve your employment prospects! 3. Apply for the job! To find employment, there are a huge plethora of job hunting websites – they are a convenient way of sussing out your job opportunities and connecting with potential employers. There is also the classic method of taking a marker to the newspaper and hunting through the classifieds. Recruitment agencies and headhunters are some other avenues that you may consider. They can be expensive, but generally have a high rate of placement. Don’t forget about your connections! Networking and referrals can make a big difference. Once you have applied for your dream job, you will be contacted if you have been shortlisted. The interviewing process will take some time to complete, ranging anywhere from 2 weeks to 2 months. Prepare carefully for your interview – you may not be meeting the interviewer personally, therefore you must articulate your professionalism over a phone call or a video call. 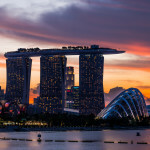 Singapore is a multicultural country with a heavy emphasis on paper qualifications – you must display good English, a cosmopolitan attitude, and excellent qualifications. Upon receiving the job offer and contract, you are usually given 3 to 5 days to examine the paperwork and decide whether you will take the job. Ensure that your salary complies with the requirement of your intended employment permit! Employers in Singapore are very familiar with the process of hiring foreign workers – so you should not run into many obstacles. Singapore has certain lines of work that are earmarked as specialized professions. These professions require you to register with the government and provide details about your job sector and pay scale. Some jobs that require prior registration are dentistry, engineering, land surveying, law, medicine, pharmaceutical and nursing. These professions are governed by local regulations, and it is compulsory for all registered individuals to comply with the rules. Once you have accepted the job and finalised details, you can apply for a work visa based on your qualifications. Foreign professionals are always welcome in Singapore and you should not find it difficult to apply for an employment pass. You will need to pay a non-refundable registration fee to submit your application. If you apply online, it will take 7 working days to process. For manual application, it can take up to 5 weeks. Employment Pass – For foreign professionals in senior positions, you will have to earn at least SGD3,300 per month and have suitable qualifications. EntrePass – This is for the aspiring businessmen! Foreign entrepreneurs wishing to break into Singapore’s market with a new business should apply for this pass. 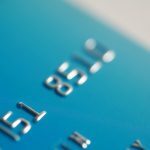 Personalised Employment Pass – If you are a high-earning existing Employment Pass holder or foreign professional, this pass will enable you to hold a job in nearly every sector. Offering great flexibility, you will not be tied to a specific employer. 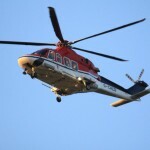 S Pass – This pass is for mid-level skilled workers. You will need to earn at least SGD2, 200 per month and pass an assessment. The remaining work permits are for semi-skilled foreign workers, domestic workers and performing artistes. You can find out more about passes for trainees, students and family members here. Finding a job is usually a difficult experience. 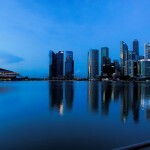 The market is extremely competitive in Singapore, and may pose a challenge even for accomplished professionals. However, you may find that the effort is worth the reward. 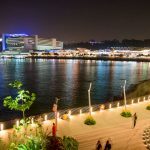 This island country is a melting pot of multiculturalism, and it is far easier to adapt to life in Singapore compared to many other countries around the world. 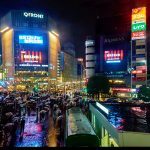 So start looking through the job advertisements now – and join the fascinating world of expat life here in Singapore!